"SportClips is where men go to get their haircuts when they are looking for a good time in a relaxed sport themed experience." Oh I wish I could convey in words his enthusiasm over that Hot Steamed Towel when he got home. A bit orgasmic I'd say. And the shampoo, "Mom, it TINGLED!" And the neck-rub... as he rolls his eyes into his head... the neck-rub was to die for, apparently. Right there I knew I was in trouble. Later that evening he comes down the stairs with a bag in his hands. 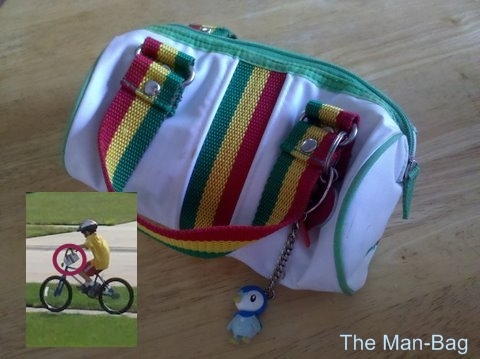 "Mom, it is my 'Man-Bag'." What in the world was in that shampoo, anyway!? Am rolling on the sofa laughing! 8Year old boys are a hoot! Oh my goodness!